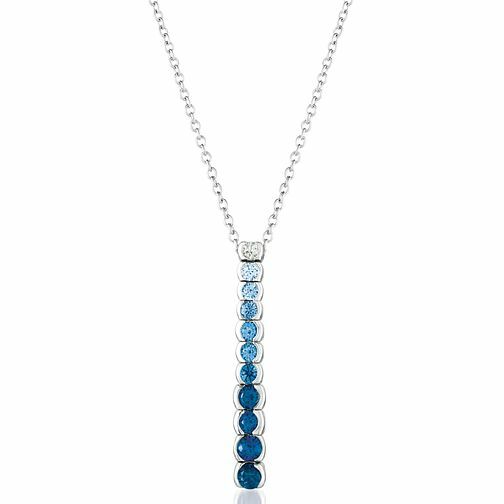 Le Vian presents a pendant with a nuanced gradient of precious sapphires that gently increase into brighter, more aqueous tones. Wear as a subtle and understated embellishment that embodies the allure of luxury. The Le Vian name has been associated with the world's finest jewellery since the 15th century and is now worn by Hollywood celebrities and the glitterati.